AUSTIN, Texas — ERCOT stakeholders last week granted Southern Cross Transmission’s (SCT) request to create a new market participant category for DC tie operators after months of inaction. The Technical Advisory Committee on Sept. 26 unanimously endorsed a Nodal Protocol revision request (NPRR857) and an accompanying change to the Nodal Operating Guide (NOGRR177). Together, the changes create a “direct current tie operator” role that will clarify “obligations specific to those entities that operate DC ties” as distinct from those of transmission service providers (TSPs), who currently own all DC ties in ERCOT. The revision also requires any TSP that operates a DC tie to secure additional registration as a DC tie operator. Before the change can be implemented, NPRR857 requires SCT to issue Oncor a notice to proceed with construction of the facilities and provide the financial security required to fund the interconnection facilities. SCT has already signed an interconnection agreement with Oncor. Under a separate memorandum of understanding with ERCOT, SCT agreed to cover all Protocol revision costs and any system change costs necessary to implement NPRR857. Staff have estimated a budgetary impact of up to $700,000. Cratylus Advisors’ Mark Bruce, who represents Pattern Development before the TAC, said SCT was ready to move forward with the change requests, but it was waiting for ERCOT’s determination of which market segment a DC tie operator should be placed in for governance purposes. That question is yet to be resolved. ERCOT built on NPRR857 to make it clear SCT will bear the cost of implementing the change and added the criteria necessary to begin its implementation. The grid operator will issue a market notice before beginning the project, and another before NPRR875’s implementation. The change addresses one of 14 directives the PUC set for ERCOT before energizing the SCT project (Project No. 46304). Stakeholders also approved the first ERCOT determination in response to the PUC’s directives, but not before editing ISO staff’s language. Members argued staff’s original determination did not accurately reflect discussions within the Wholesale Market Subcommittee (WMS) and the Qualified Scheduling Entity Managers Working Group (QMWG). Both groups eventually endorsed ERCOT’s determination, which noted that stakeholders had previously considered pricing issues. WMS Chair David Kee of CPS Energy said a staff white paper approved by stakeholders did not capture the history of the issues. Staff said it determined that actions related to DC ties could “adversely affect” price formation during both emergency and normal conditions. They noted stakeholders have considered these issues while developing NPRRs related to the operating reserve demand curve’s (ORDC) price adder and the real-time online reliability deployment price adders. Staff said there is no need to revise the NPRRs with another change request but said they will engage in stakeholder discussions should an NPRR be submitted or the PUC issues another directive. QMWG Chair Eric Goff of Citigroup Energy said a market participant he did not identify plans to file an NPRR making changes to price adders and the ORDC. Goff’s abstention was the only vote the determination did not receive. Staff’s white paper explained its determination. The white paper and determination will be presented for the Board of Directors’ approval at its Oct. 9 meeting. The committee endorsed Wind Energy Transmission Texas’ (WETT) Bearkat area transmission project in West Texas, which could become ERCOT’s first economic project in three years. The project, which will be up for board approval in October, addresses congestion on a 138-kV line near Odessa, which is burdened with 1.5 GW of operational and planned wind generation. It consists of two new 345-kV bays and a 27-mile, 345-kV single-circuit line on double-circuit-capable structures. The review evaluated nine upgrade alternatives, all of which passed the grid operator’s economic-planning criteria: Annual production cost savings must be equal to or greater than the project’s first year annual revenue requirement, assumed to be 15% of the capital cost. Bearkat has a savings-to-cost ratio of 60% and is projected to produce $400 million in 30-year net savings. 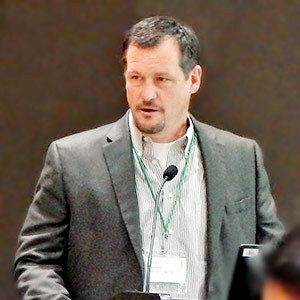 Committee members unanimously confirmed Just Energy’s Eric Blakey as chair of the Retail Market Subcommittee, which serves as a forum to resolve retail market issues. The committee’s Reliability and Operations Subcommittee (ROS) will choose its new chair on Oct. 11. The ROS develops, reviews and maintains operating guides and planning criteria. NPRR845: Incorporates numerous revisions to the reliability-must-run process, including standardizing the standby cost in terms of dollars per hour instead of dollars per megawatt; adjusting availability metrics used in settlements to the current operating plan rather than the availability plan; clarifying a resource’s post-RMR status and requiring an entity to submit a resource-notification change no later than 60 days before an agreement’s conclusion; allowing ERCOT to retain a mutually agreeable third party to help evaluate submitted RMR budgets; and modifying the RMR agreement to require detailed budgeted costs with or without capital expenditures. NPRR869: Requires generators over 1 MW within a private use network (PUN) to provide modeling information to ERCOT if they are not: registered with the PUC as a power generation company; part of a PUN with more than one connection to the ERCOT grid; or registered to provide ancillary services. The change includes a netting exemption for a qualifying facility that is a small power production facility and provides energy to a customer behind a single point of interconnection. It also deletes a reference to the now-expired System Benefit Fund. NPRR880: Requires ERCOT to publish shift factors for PUN settlement points for the real-time market, as is currently done in the day-ahead market. NPRR883: Removes the real-time reliability deployment price adder from the real-time settlement point price to avoid double payment when resources have received an ancillary services assignment. NPRR888: Clarifies the four-coincident-peak (4-CP) adjustment methodology that was implemented in conjunction with NPRR830. NOGRR180: Removes “governor dead-band” and “governor droop settings” requirements for combined cycle steam turbines. NOGRR181: Ensures consistency between the ERCOT and NERC requirements regarding black start plans. Because ERCOT has to review each transmission owner’s plan within 30 days of receipt, it must receive the plans for each year by Nov. 1 of the preceding year to complete its annual study. OBDRR007: Changes the ORDC methodology to account for the curtailment of solar PV resources. Solar generation had been excluded since the ORDC was implemented in 2014. OBDR008: Makes ERCOT’s procedure for identifying resource nodes consistent with NPRR890, which aligns price-calculation formulas with ERCOT systems calculation of the real-time LMP at a logical resource node for an online combined cycle generation resource. NPRR890 has cleared the Protocol Revisions Subcommittee. PGRR063: Outlines the process for evaluating the reliability impact of transmission projects of 100-kV or above that are expected to be in service before the next Regional Transmission Plan’s completion but that were not included in the current plan, a Regional Planning Group project submission, or a generation interconnection or change-request study. PGRR064: Requires resource entities to verify that dynamic devices used for reliability reflect their operating characteristics. 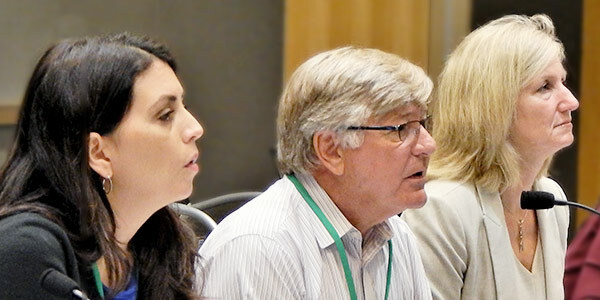 ERCOT’s Technical Advisory Committee assigned two subcommittees to consider responses to discrepancies in day-ahead market make-whole payments. ERCOT approved the shutdown of two plants, including Luminant’s coal-fired Monticello facility in East Texas. 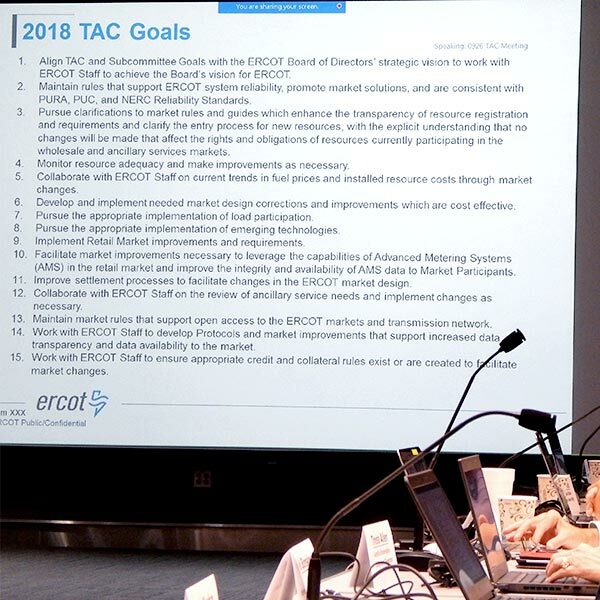 The ERCOT TAC discussed how the ISO and its market participants exchange data and handle changes to data reports.